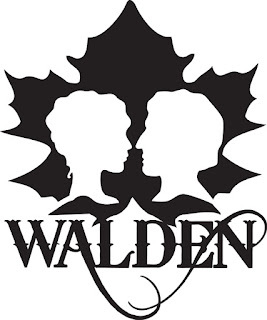 StageBuzz.com: Planet Connections Interview - Katherine Brann Fredricks of "Walden"
Planet Connections Interview - Katherine Brann Fredricks of "Walden"
Katherine Brann Fredricks has had her work performed in regional theatre, Off-Off Broadway and on Cinemax. She is certified as a meditation and yoga instructor with the Chopra Center, and is on the board of directors of Flagstaff Light Opera Company. I grew up in Arizona, and my first relationship to theatre was cast albums. In the evening, my family would sit out on the porch under the stars and listen to Broadway shows. Walden is a musical adaptation of Thoreau’s best-seller, featuring his work on the underground railroad & his star crossed romance. Composer Bert Draesel and I met at NYU’s Graduate Musical Theatre Writing. Bert has a gift for melodies. We began writing art songs, based on Walden. After several readings, the show evolved into a drama about what happened when Thoreau took a moral stand which his neighbors found unconventional, uncomfortable, and ultimately illegal. J. Oconer Navarro is also an NYU alum, and now professor. He joined us as music director and arranger of additional music. Director Brian Maschka has put together a beautiful show, with the help of a marvelous production team, including costume designer DW Withrow and lighting designer Travis McHale. I’m thrilled with the cast, including Drew Aber, Cole Burden, Susannah Jones, Heather Lundstedt, Lisa C. M. Lamother, Ronnie Nelson, Kurt Robbins, Doug Shapiro, Thalia St. Hubert, and Forest VanDyke. Hearing them sing sends chills up my spine! Thoreau was a pioneer naturalist. His goal was to observe nature with the accuracy of a trained scientist, and the pleasure of a child discovering a new flower in a meadow. Because of Thoreau’s passion for nature and also because I’m a member, Walden partnered with the Union of Concerned Scientists. UCS is actually using Thoreau’s field observations on temperature & bird migrations, to document global climate change. I like the fact that UCS uses independent, objective science to address contemporary issues. I’m writing a dance musical. If you could work with any famous actor, living or dead, who would it be? The person I really want to work with is choreographer Christopher Gatelli.